We would like to thank all our friends, customers, colleagues and great favourite people who could come to our summer party at Im Nordpark. It was so much fun to eat, drink and celebrate with you. Thank you very much for all the great, creative and tasty presents and also very many thanks for the donations you brought with you. 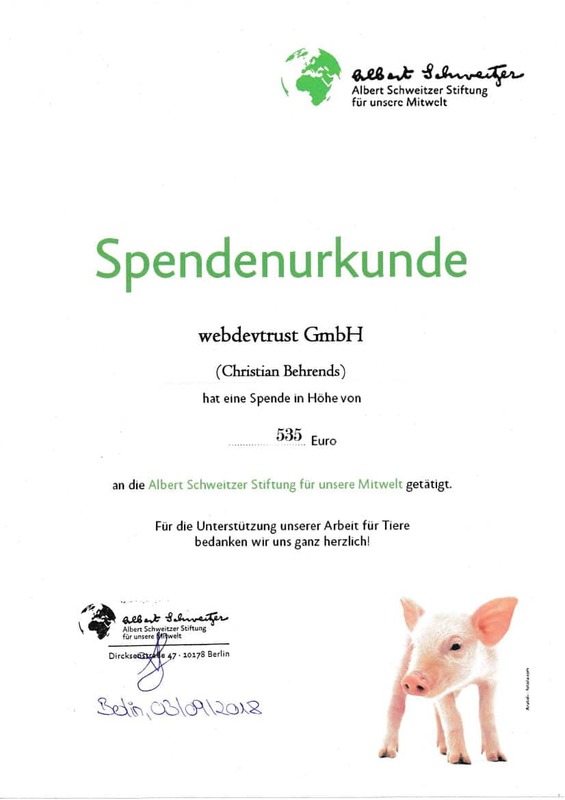 As announced, we have directed the donations to their intended purpose, the Albert Schweitzer Foundation. This seems sensible to us, as our festivity was also planned and celebrated in the name of sustainability. We believe that one of the main drivers of climate change, rainforest deforestation and soil and water pollution is intensive livestock farming, and media coverage confirms this. It is therefore very important to us to support institutions that raise awareness and work for the abolition of intensive livestock farming. Thank you for making this commitment possible, and hopefully we will see you at next year’s summer party!